In the 1690s, there were printing presses established in only Dublin, Belfast and Cork; by the 1790s, 34 Irish towns and cities hosted presses. 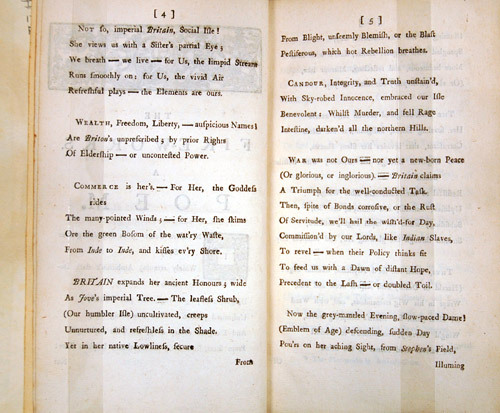 Because the English Copyright Act of 1709 vested publishing rights in the hands of the major London printers, a vast majority of the presses in Ireland were not affected. Indeed, with this relative freedom, the only drawbacks the Irish printers faced were a small local market and problems of distribution and regular supplies. One can imagine the problems faced by the Dublin-based printer Augustus Long in marketing this 'Miltonic' piece by the Trinity 'Gent'.